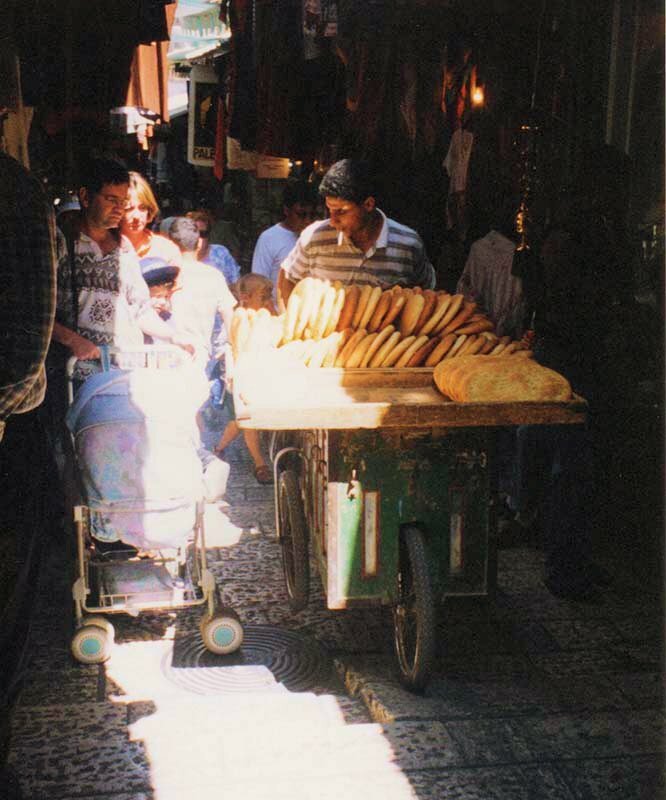 Vendors, such as this bread merchant, transport their wares over the Muslim Quarter’s step-shaped narrow streets by pushing them on carts. This is how they’ve done it for countless centuries, and the steps have built-in ramps specially designed for this. 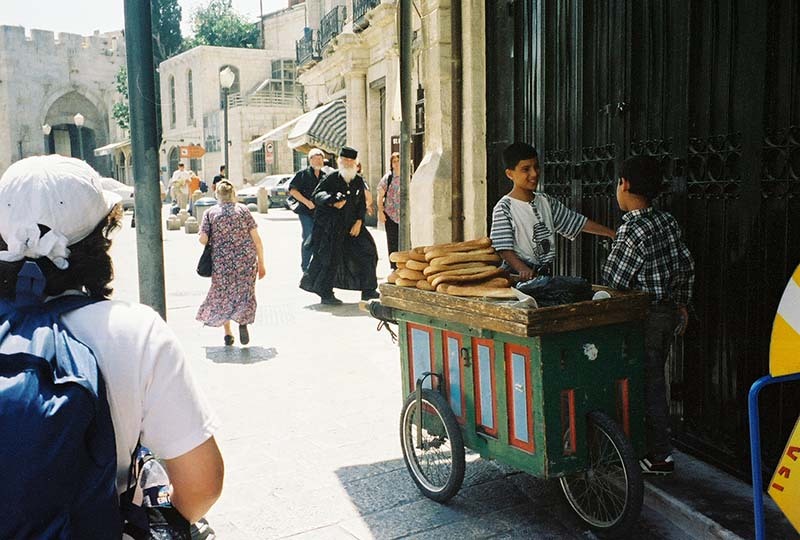 A couple of boys sell fresh bread for “one dollah” near Jaffa Gate, and it is absolutely delicious! We snack on some while walking through the streets. Then we finish our adventure by climbing up to the rampart, near Jaffa Gate.